Spectacular fuchsia-pink blooms. 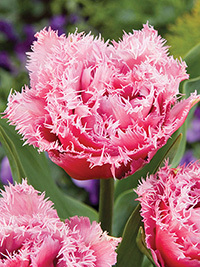 A very unusual tulip, it is both double and fringed. Early-mid season flowering, 35cm.